Item Code: MO-LMS-991 | | Usually Ships Same Business Day. With more attention than ever on improving well-being, massage has become a popular treatment. As shiatsu back and neck massager, it relieves stress and fatigue and has proven to improve blood circulation. The premium Moustache® massage pillow offers an authentic deep tissue shiatsu massage experience which can be particularly beneficial to individuals suffering from arthritis, muscle tension, injuries and other muscle discomforts. 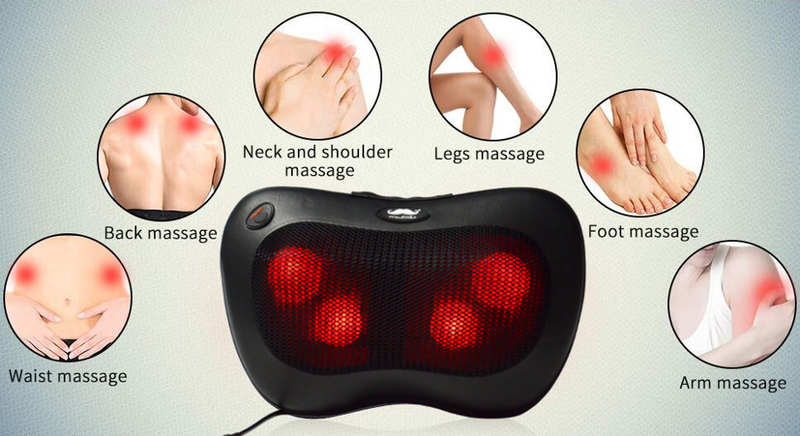 This massage pillow enables you to easily add these benefits to your daily routine. 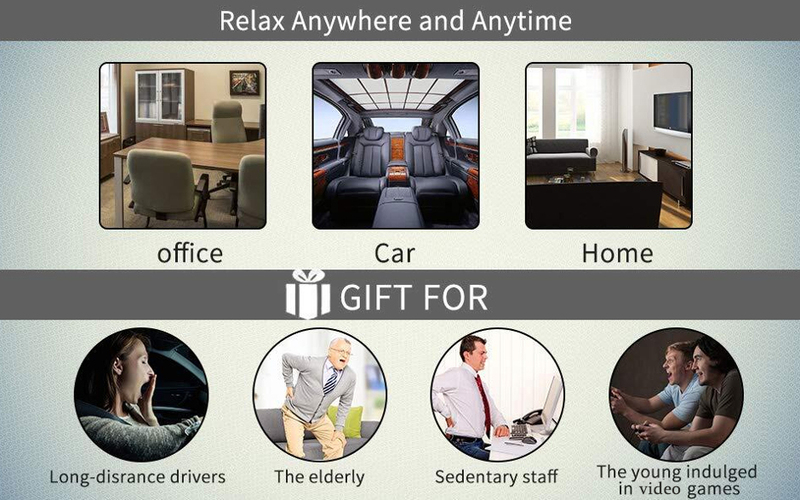 At home, in the car, or at the office indulge in a stress relieving deep massage to keep you feeling relaxed all day. Push the ON/OFF button to turn it on. Push the ON/OFF button again to turn the heat off. Push the ON/OFF button again to turn the heat on. To turn the power off一Push and hold the ON/OFF button for a few seconds. It is normal for the massager to make a winding noise. 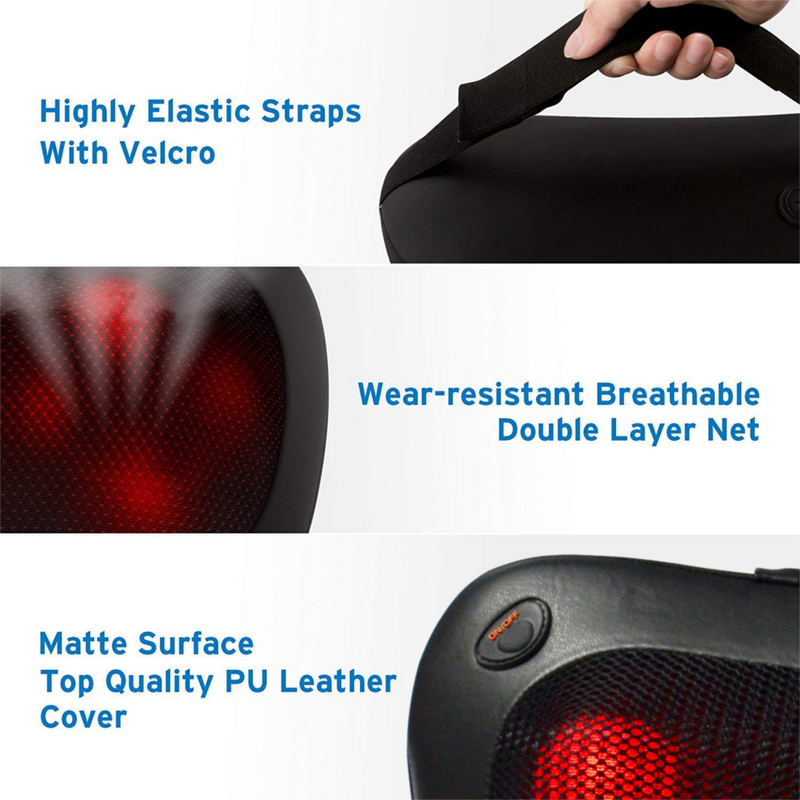 The massager is equipped with an overheat protection feature and it will turn itself off when it is overheated. 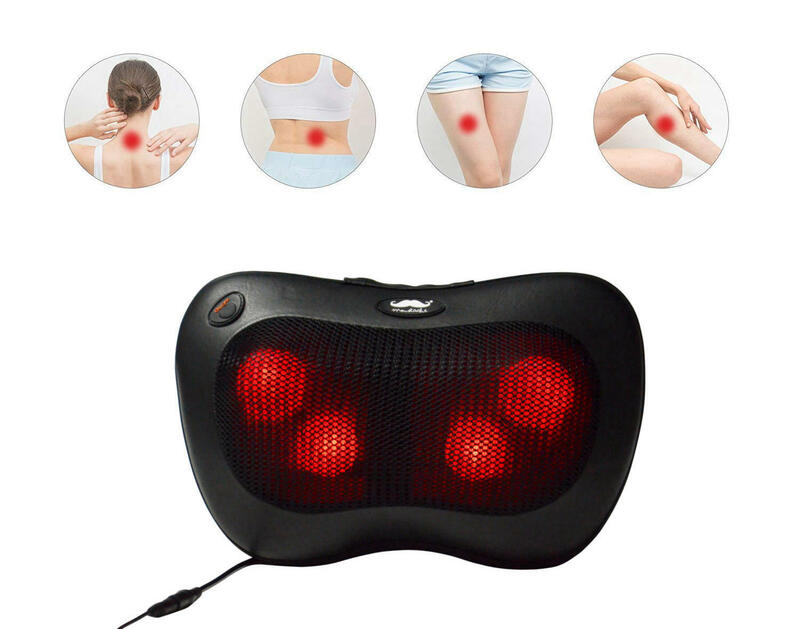 If the massager will not turn on when the ON/OFF button is pushed, that usually means it is overheated. Just wait till the massager cools off before turning it on again. The massager will automatically turn itself off in 15 minutes. Note: You can push the power button again and it will work for another 15 minutes. To avoid overheating of the massager, it is not recommended to use the massager for more than 45 minutes. Do not let the massager come into contact with water to avoid possible accidents that may result from a short circuit. Do not use the massager if any part of the cover, wires or adapters is damaged. Always disconnect the power when cleaning the massager. Do not use the massager if you had a surgery recently. Do not use the massager in a bathroom or any high humidity area. Do not use the massager on your abdomen if you are pregnant. Do not let children use the massager. Do not use the massager on any skin or muscle that is injured. Do not use the massager if you are sweating or if your skin is wet.